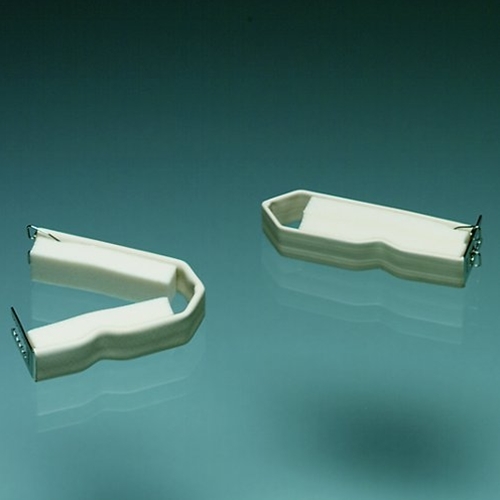 Bard Cunningham Clamp from HealthyKin.com is used to control stress incontinence or dribbling of urine. Constructed of soft sponge rubber and can be adjusted to fit comfortably. I didn't want to be the first to comment either, but we men have to admit, that there are medical reasons why we would resort to using a clamp. The BC clamp does what it was intended to do, but it is a little uncomfortable to wear. I use it only when I know I won't be able to get to a restroom within an hour or two. I think a round or oval design might be more comfortable -- something for the manufacturer to consider in the future. Received clamp in shorter time than I expected. Learning to use the clamp has been an experience. Have had the clamp just over 2 weeks. Needed to trim some hair to prevent tangles. Finding the correct position and tightness took some trial and error. I have been able to use the clamp successfully, for 3-4 hours at a time with no problems and no leakage. I can understand why some users have trouble, continuing to experiment may prove successful for them. The clamp provides what I need to carry out a normal day. Makes life much more manageable. Gives confidence in public. Doesn't set off most airport metal detectors, BUT, it will show up on the full body scanner - suggestion is to go through without it and dive into a restroom to replace. Third order - excellent service, best online price. I wear clamp 13 hours a day from 9 am to 10 pm It does the trick for me not having a prostate it Was taken out almost 11 years ago, at night I do not wear it .works great for me thank god for the clamp ! Efficient service on product ordered, have used for 6 weeks with good results. Cannot wear longer than 10/12 hrs daily at best setting else it will chaff. Satisfied !!!!! It gets the job done, but can be uncomfortable. I really need to be able to wear something a good part of the day.More than 12 hours at a time is pushing it, and can begin to be 'abrasive' and create some real tender spots. Great for short term use. Product was as advertised. Items ordered were received ahead of schedule. Great service. It is fairly comfortable. Certainly beats the alternative. I am much more confident going out for extended periods without worrying about leaking. great clamp. No more than 1 hour at a time.